Despite virtually everything in the consumer world being unnecessarily stuffed to the gills with RGB LEDs, they seem to sell like hotcakes. 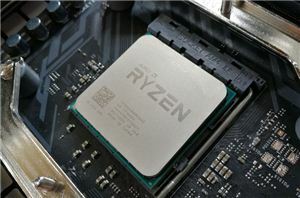 I was told earlier this year by one company that when they added RGBs to their most popular product, it outsold the non-RGB version 6:1 in the following six months. If you like it or loathe it, RGB is here to stay. But not all RGB-equipped devices have to be a dire shade of color. Enter G.Skill’s Trident Royal memory. This product was easily one of the stars of Computex, despite still only being a prototype. 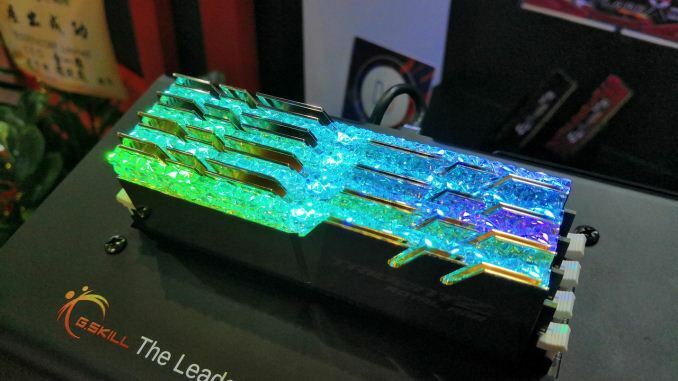 Most modern DDR4 memory today with LEDs use a top bar above the memory PCB with some form of plastic diffuser, akin to a stage light, in order to get a softer glow from a very bright LED. 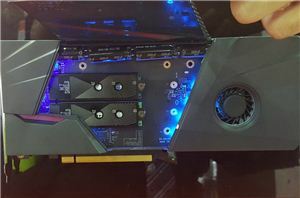 What G.Skill has done is implement a crystalline like diffuser cap to its memory, taking advantage of photon reflections as much as diffraction. The best way to describe it is that this memory belongs in a jewellery shop. It was presented on a spinning plinth, and the crystalline cap on the memory adds that a level of feeling expensive that normally comes with expensive gemstones or a decent Swarovski trinket. The crystalline looking cap is likely some form of molded plastic, as with other caps, however it is as transparent as it needs to be, both hiding the LEDs but also creating a uniform color intensity across the module. 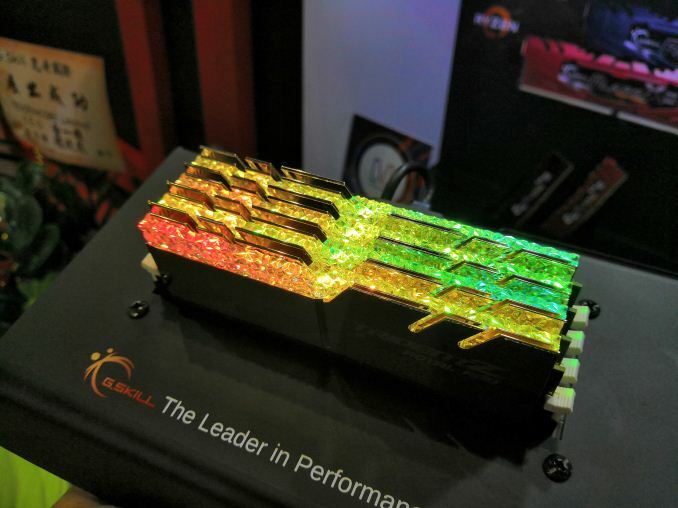 G.Skill were asking for feedback at the show, and it makes sense that they should reserve this treatment for their high-end or high-capacity multi-module kits. 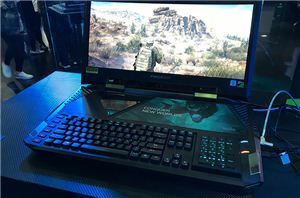 The only downside is that unlike G.Skill’s current memory, it doesn’t have a name directly on the top to identify the brand, however as of yet they are the only company putting on a demo with this.